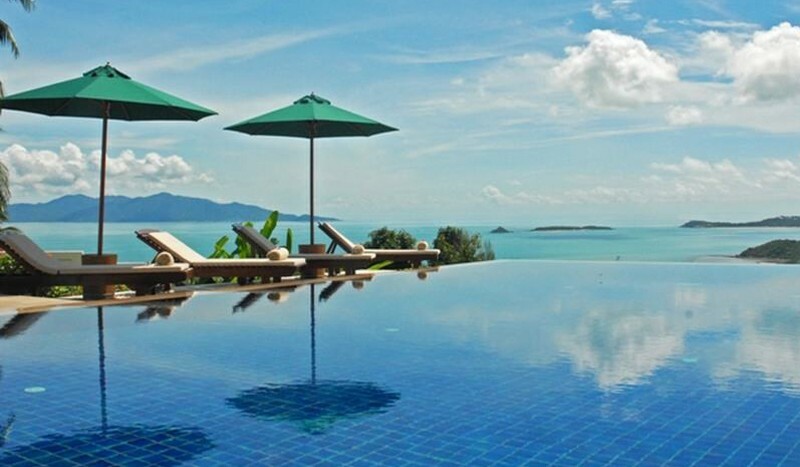 Koh Samui is the perfect exotic getaway destination. It is just that kind of blissful island that encapsulates the idyllic Thai holiday. This unique tropical paradise is a beautiful mix of wild natural life and traditional Thai hospitality that invites the modern traveler to spend an unforgettable vacation enjoying the cool breeze and deep blue waves. There are countless reasons why you should visit Kow Samui, but here you have 10 that will convince you how precious this exotic island really is. Koh samui was discovered by travellers in the ’80s. Then it was a totally different island that offered unaltered landscapes and experiences without the comfort specific to most tropical getaways. Now this paradise has been modernized. It still maintains the same idyllic nature and ingenuity, but it has developed a more sophisticated side as well. Koh Samui is one of the top destinations where you can enjoy some of the most luxurious holiday benefits, such as spa treatments, infinity pools, gyms, beach restaurants, cocktails, elegant and modern beaches with white sand, tennis courts and fine dining. Koh Samui has one of the most chic and modern airports in the world. It is privately owned by Bangkok Airways and it is so delightful because it has nicely landscaped tropical gardens, elegant shops and one of a kind open-air tram that takes you from the arrivals area to the baggage area. Its beaches are simply fabulous. You can relax on a chaise longue on the powder-white sand beaches, swim in the ocean, dive, snorkel, take a boat trip or discover the wilderness of the tropical forests. Koh Samui has even a very vibrant night life. Jam-packed with night-clubs, restaurants and beach bars that are opened until morning, it offers a huge array of wonderful ways to have fun. If you crave for a vacation dedicated to wellness and relaxation then you are definitely going to love Koh Samui’s unique healing, new age therapies and Asian beauty secrets. You can opt for one of its luxury resorts dedicated to yoga, detox, weight loss and holistic health that offers an all-inclusive package meant to stimulate the body, mind and soul. Deep inside the jungle there is a secret sculpture garden that hosts representations of deities from fantasy creatures to Buddhist mythology. Nim Thongsuk is the man who dedicated 24 years of his life to the creation of the Secret Buddha Garden. Just getting to this hidden part of the jungle is a real adventure as it implies an open four-wheel drive jeep along a very unfriendly road. A very important part of the island experience is visiting two very dubious attractions. The first one is two natural rock formations called Hin Yai and Hin Ta near Lamai Beach. Yai or the grandmother is a big crevice awash with sea water, which seems to wait the attention of Ta or the grandfather- a stumpy phallus rising among the rocks. The second one is a mummified monk with an orange robe and Ray-Ban sunglasses at Wat Khunaram. There are even more remote parts of the island where you can escape. On the southern side, there are private beach frontages meant for those who are looking for a calm piece of paradise where they can relax. Because Thailand has some of the greatest boxing stadiums, Koh Samui is pleased to offer you the great opportunity of watching sweaty men beat each other to a pulp. Boxing is Thailand’s national sport so you can even take advantage of some introductory classes available at high end resorts or dedicated training gyms. Koh Samui isn’t just a natural paradise where you can enjoy the wild beauties of the ocean and tropical forests. It is also a paradise of luxury villas. 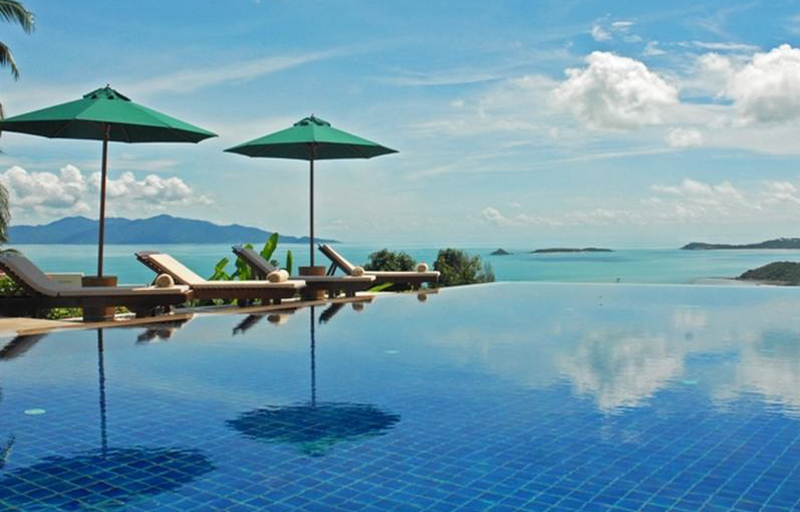 Finding an elegant and classy place to stay in Koh Samui is really easy. The properties here are all new, modern and refined. The villas are large, beautiful, affordable and come with numerous amenities such as infinity pools, spas, gyms, tennis courts and panoramic dining spaces. Koh Samui is the right choice for those who adore doing some serious shopping. Handicrafts, textiles, unique gifts, boutiques and electronic shops are just a few of the possibilities available at the shopping areas from the beautiful Samui Island.